The DALI Ambient Sensor measures illuminance (in lux) and Correlated Colour Temperature (in Kelvins) properties and uses a DALI bus for biasing and communication. It can be used as a simple sensor with its data being processed by another device on the same DALI bus, or as a combined sensor and control device to regulate the luminous output and colour temperature parameters of DALI addressed TunableWhite luminaires. Measurement occurs automatically using automatic range switching within an illuminance range of 100–30,000 lx and CCT range of 2500–8000 K. The sensor communicates using the industry standard DALI protocol once addressed and set using any standard DALI configuration tool. Additional sensor parameters can be set using a USB/DALI bridge and related software tool. DALI Ambient sensor is suitable for installation to the ceiling and for connection to DALI network. The address can be settable by any DALI configurator, the other parameters like timing, final CCT or illuminance level and regulation, regulation mode can be set by DALI / USB Bridge. By default, the sensor functions in passive mode with regulation disabled and where measured values can only be read. 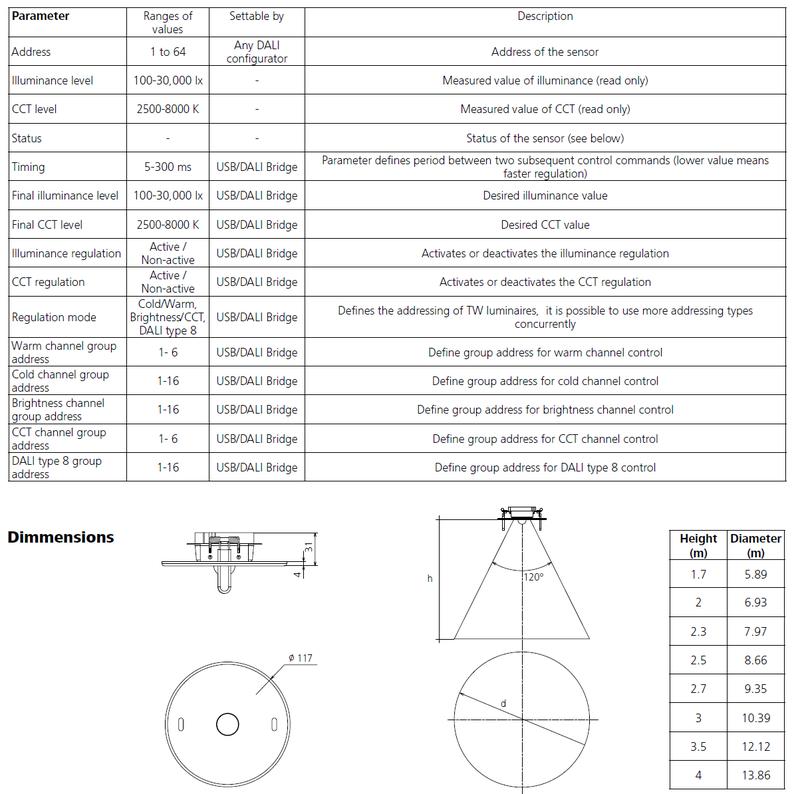 The basic parameters required for regulation are desired illuminance and CCT values and connection to type-defined and controllable Tunable White luminaires. 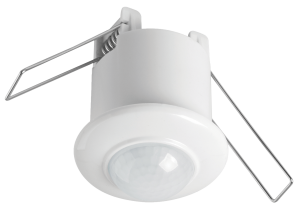 The sensor can be used to regulate warm/cold twochannel luminaires, brightness/ CCT two-channel luminaires and DALI type 8 luminaires. It is possible to assign each channel its own address, for example, a cold channel, warm channel, brightness channel, CCT channel or DALI type 8 channel. All connected TunableWhite luminaires can be controlled in parallel using illuminance only regulation, CCT only regulation or dual regulation.